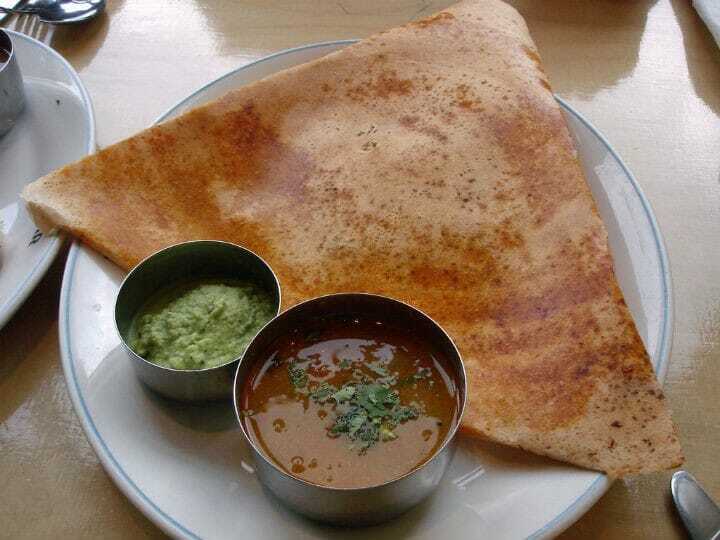 Masala dosa is one of the most popular dosa varieties not only in South India but all over India and abroad. It can be had at any time – whether it is breakfast, lunch or dinner, it is a snack and a meal by itself. With a delicious potato filling, the masala dosa has numerous regional variations. In the restaurants and hotels, the dosa will be crisp and comes in a triangle or cone shape or it is rolled up into 2 layers. Soak the parboiled rice and raw rice for 3 hours together. Soak the dals and fenugreek for 3 hours. Drain and grind them separately to a fine batter. Add salt and mix both the batters. Keep aside for 8 hours or overnight to ferment. To make the potato masala, heat oil in a pan over medium flame. Fry the mustard seed, urad dal and bengal gram dal for 30 seconds. Add the curry leaves, onions, ginger and green chillies. Add turmeric powder and stir well. When the onions turn light brown, add the potatoes and salt. 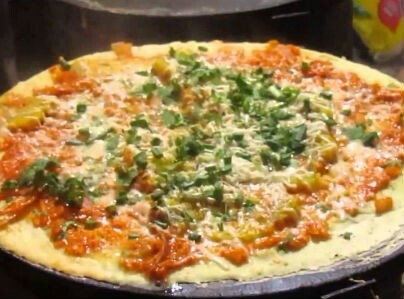 After 2 minutes, add the coriander leaves and mix. Remove and keep aside. Heat a tawa over medium flame. Pour a ladleful of the batter and apply oil around the edges. Cook on one side and flip it over. Add 2 tblsp of the potato masala and fold the dosa lightly. Cook for a minute or two and transfer to a serving plate. Feel free to comment or share your thoughts on this Masala Dosa Recipe from Awesome Cuisine.